A four-page memo compiled by House Intelligence Committee Republicans says the FBI relied on information collected by an unreliable source, whose work was funded by the Democratic National Committee and Hillary Clinton’s presidential campaign, to obtain a warrant to surveil a Trump campaign associate named Carter Page. Here are some of the most shocking bombshells outlined in the memo, which summarizes information compiled by congressional Republicans. In September 2016, ex-British spy Christopher Steele–who compiled an infamous dossier filled with unfounded claims about President Trump–told Yahoo News about Page’s visit to Moscow. Yahoo News subsequently published a story about this trip. The FBI then cited this Yahoo News report, sourced entirely by Steele, as evidence in its initial FISA warrant application to corroborate information the ex-British spy compiled in his dossier. The FBI incorrectly asserted to the court in its application that Steele did not provide information to Yahoo News about Page’s Moscow trip. British court filings, however, show Steele admitted he met with Yahoo News in September 2016, two months before the FBI got its initial warrant, to discuss the trip at the direction of Fusion GPS. The FBI did not tell the court that information cited in its warrant application was gathered by an individual who was being paid by Trump’s political opponents. The bureau was aware that Steele was working for Fusion GPS, a research firm that was hired by Perkins Coie, a law firm Hillary Clinton and the DNC were making payments to. The DNC and Clinton campaign paid Steele $160,000. The FBI knew about these financial connections and chose not to reveal that to the court when seeking the warrant. In December 2017, FBI Deputy Director Andrew McCabe testified before the House Intelligence Committee that the FBI wouldn’t have sought a warrant without Steele’s dossier. The FBI obtained the initial FISA warrant to surveil Page on October 21, 2016 after he visited Moscow and reportedly spoke to a Russian official who had expressed support for Trump in July 2016. The warrant was renewed three times for the full extent allowed of 90 days each, totaling 360 days under surveillance. Former FBI director James Comey signed one of the three renewal applications on behalf of the FBI, and McCabe signed one. Then-Deputy Attorney General Sally Yates, then-acting-DAG Dana Beonte, and DAG Rod Rosenstein each signed at least one or more of these renewal applications on behalf of the DOJ. With each of these renewals, the FBI choose not to disclose to the court that it had relied on information funded by Trump’s political opponents in its quest to surveil a Trump campaign member. The FBI dismissed Steele as a source for violating FBI protocol by bragging about is relationship with the bureau to reporters. On October 30, 2016, just nine days after the bureau obtained a warrant to surveil Page, Mother Jones published a story revealing Steele’s relationship to the FBI. The bureau then dismissed Steele for bragging about his connections to reporters — a clear violation of FBI protocol — which made him an unreliable source. When the bureau sought the aforementioned 90-day renewals, however, the FBI did not tell the FISC the initial warrant relied on information from a terminated source who flouted his connections with the bureau to media. Throughout the process of obtaining the initial warrant, then-Associate Deputy Attorney General Bruce Ohr’s wife worked for Fusion GPS, the firm that hired Steele to dig up dirt on Trump. At the firm, she helped conduct opposition research on Trump and his associates. The FBI did not disclose this to the court. Ohr was demoted within the DOJ in December 2017 after it was discovered he had concealed meetings with Steele and Fusion GPS founder Glenn Simpson. During these meetings, Steele confided in Ohr that he was “desperate that Donald Trump not get elected.” The FBI knew about Steele’s political bias against Trump, but did not make this known to the court. The House memo reveals disturbing facts about the misuse of FISA. Now we know why the FBI tried so hard to block release of the House Intelligence Committee memo. And why Democrats and the media want to change the subject to Republican motivations. The four-page memo released Friday reports disturbing facts about how the FBI and the Foreign Intelligence Surveillance Court appear to have been used to influence the 2016 election and its aftermath. The White House declassified the memo Friday, and you don’t have to be a civil libertarian to be shocked by the details. The memo confirms that the FBI and Justice Department on Oct. 21, 2016 obtained a FISA order to surveil Carter Page, an American citizen who was a relatively minor volunteer adviser to the Trump presidential campaign. 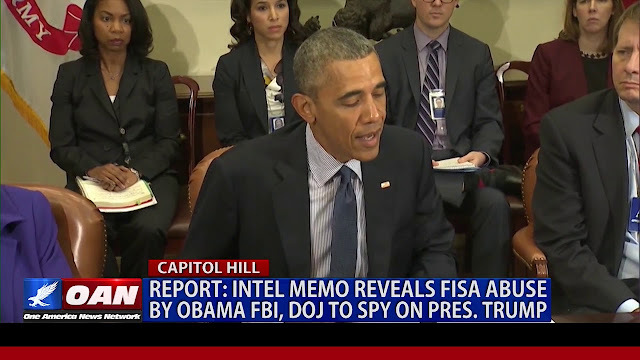 The memo says an “essential” part of the FISA application was the “dossier” assembled by former British spy Christopher Steele and the research firm Fusion GPS that was hired by a law firm attached to the Clinton campaign. The memo adds that former FBI Deputy Director Andrew McCabe told the committee in December 2017 that “no surveillance warrant would have been sought” without the dossier. This is troubling enough, but the memo also discloses that the FBI failed to inform the FISA court that the Clinton campaign had funded the dossier. The memo says the FBI supported its FISA application by “extensively” citing a September 2016 article in Yahoo News that contained allegations against Mr. Page. But the FBI failed to tell the court that Mr. Steele and Fusion were the main sources for that Yahoo article. In essence the FBI was citing Mr. Steele to corroborate Mr. Steele. Unlike a normal court, FISA doesn’t have competing pleaders. The FBI and Justice appear ex parte as applicants, and thus the judges depend on candor from both. Yet the FBI never informed the court that Mr. Steele was in effect working for the Clinton campaign. The FBI retained Mr. Steele as a source, and in October 2016 he talked to Mother Jones magazine without authorization about the FBI investigation and his dossier alleging collusion between Russia and the Trump campaign. The FBI then fired Mr. Steele, but it never told the FISA judges about that either. Nor did it tell the court any of this as it sought three subsequent renewals of the order on Mr. Page. We don’t know the political motives of the FBI and Justice officials, but the facts are damaging enough. The FBI in essence let itself and the FISA court be used to promote a major theme of the Clinton campaign. Mr. Steele and Fusion then leaked the fact of the investigation to friendly reporters to try to defeat Mr. Trump before the election. And afterward they continued to leak all this to the press to cast doubt on the legitimacy of Mr. Trump’s victory. No matter its motives, the FBI became a tool of anti-Trump political actors. This is unacceptable in a democracy and ought to alarm anyone who wants the FBI to be a nonpartisan enforcer of the law. Democrats are howling that the memo, produced by Republican staff, is misleading and leaves out essential details. They are producing their own summary of the evidence, and by all means let’s see that too. President Trump should declassify it promptly, along with Senator Chuck Grassley’s referral for criminal investigation of Mr. Steele. But note that Democrats aren’t challenging the core facts that the FBI used the dossier to gain a FISA order or the bureau’s lack of disclosure to the FISA judges. The details of Friday’s memo also rebut most of the criticisms of its release. The details betray no intelligence sources and methods. As to the claim that the release tarnishes the FBI and FISA court, exposing abuses is the essence of accountability in a democracy. Intelligence Chairman Devin Nunes is doing a service by forcing these facts into the public domain where the American people can examine them, hold people accountable, and then Congress can determine how to prevent them in the future. The U.S. has weathered institutional crises before—Iran-Contra, the 9/11 intelligence failure, even Senator Dianne Feinstein’s campaign against the CIA and enhanced interrogation. The other political misdirection is that the memo is designed to undermine special counsel Robert Mueller’s probe into possible Trump collusion with Russia. We doubt Mr. Mueller will be deterred by any of this. The question of FISA abuse is independent of Mr. Mueller’s work, and one that Congress takes up amid a larger debate about surveillance and national security. Mr. Trump would do well to knock off the tweets lambasting the Mueller probe, and let House and Senate Republicans focus public attention on these FISA abuses. 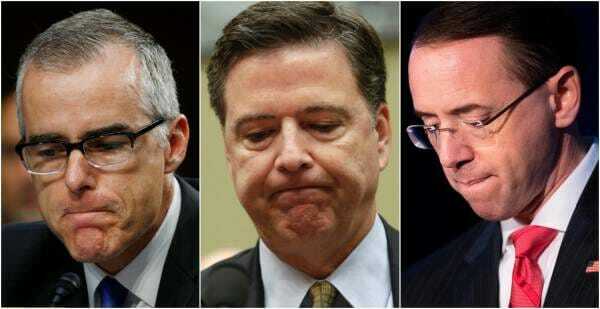 If all of this is damaging to the reputation of the FBI and Justice Department, then that damage is self-inflicted. We recognize the need for the FBI to sometimes spy on Americans to keep the country safe, but this is a power that should never be abused. Its apparent misuse during the presidential campaign needs to be fully investigated. Toward that end, the public should see more of the documents that are behind the competing intelligence memos to judge who is telling the truth. Mr. Trump and the White House should consider the remedy of radical transparency.